The numbers are impressive. The film was free to view for 10 days. In the first 14 days, the film generated $1.02 million thanks to DVD and recipe book sales. A key component to the success was the directors’ existing fan base. The fan base was built by their preexisting website, and a previous combo documentary and recipe book – FOOD MATTERS. I believe that both films (HUNGRY FOR CHANGE and FOOD MATTERS) show how, in addition to offering a film for free, creating content across platforms and media (website content, streaming video, DVD, recipe book, etc.) for a specific audience can influence the success of a film. In analyzing HUNGRY FOR CHANGE, it’s evident that it’s more than a documentary – it’s a lifestyle. The filmmakers are using the documentary as a platform to bring people to their website and buy their products in order to support the lifestyle. While the trailer is compelling, the film itself feels like a infomercial in a documentary’s clothing. The filmmakers attempt to convince the viewer that it’s time for a change in the food industry and in their diet, and that the best way to implement that change is to buy HUNGRY FOR CHANGE related products (recipe book, DVD, etc. ), access the information on their website, subscribe to their e-newsletter for updates, and tell their friends all about it. The impact of the social media aspect of this film cannot be ignored. Testimonials in support of HUNGRY FOR CHANGE on Facebook abound. The film and its use of social media is an example of how targeting a specific demographic can payoff. Take note of this approach. Do you have a product or a lifestyle to sell? This approach could work for you. This approach could also work for “movements” and “causes” that resonate with people (e.g., KONY 2012). Could an approach like this be used for narrative films? For example, could a supplemental book be offered? A graphic novel? A soundtrack? A website that helps people get involved in some aspect or cause related to the film? Perhaps something of “substance” – something that would inspire people to tell their friends because the film was so life-changing, impactful, engaging, FILL-IN-THE-BLANK? What do you think? Have you seen films that have used a similar approach and have seen success? For an interesting read on the distribution journey of TRANSCENDENT MAN and how a combination of disruptive technologies and traditional marketing techniques can result in successful distribution, check out this case study at Sundance.org. Having a fascination for Ray Kurzweil and the Singularity, I watched the documentary film on Netflix streaming last summer. In reading the case study, I learned a few lessons, logged a few distribution techniques in my toolkit, and came to appreciate how the film managed to find it’s way to my MacBook Pro. After completing the film in 2009, the filmmakers had no luck securing distribution. So they began to distribute themselves, starting with a special event tour where they arranged screenings and live Q and A’s with Ray and Barry, using Eventbrite for ticketing and Square for credit card purchases. The tour generated press headed by publicist Celia Black. Anyone remember seeing the Singularity inspired cover of Time Magazine on February, 21 2011? Yep, that was because of the film. Press was all over the place by then, and this wouldn’t have happened for just any documentary… Ray Kurzweil’s views are larger-than-life, and his genius knows no bounds. It’s Ray that makes this documentary interesting, press worthy, and current. In tandem with the tour, the film was distributed on March 1, 2011 on Movies-on-demand (VOD), iTunes, direct-to-consumer on the film’s website using Dynamo Player, and through DVD sales on the film’s web-site. The film jumped to the top 20 of all films on iTunes in its first week and remained the number 2 documentary for 13 weeks. In the next phase (starting on May 24, 2011), Barry and team partnered with New Video to create a retail DVD and distribute it to Wal-Mart.com, Amazon.com, Barnes and Noble, Target, and Best Buy. Press was churning by then, and with Ray’s appearances on late night TV talk shows, DVD sales increased. At the same time, the film was available for viewing online on Amazon, Netflix, Wal-Mart, YouTube, and Hulu, which also helped increase DVD sales. 100,000 people rated the film on Netflix in the first 90 days that it was available. Other avenues of distribution included an app for the iPhone and iPad created by MoPix. The app includes the full-length movie and special features. The filmmakers also sought the help of Fathom Events to produce and broadcast a live event from Lincoln Center New York to over 500 theaters in 49 states. The event included appearances by Ray and Barry, Steve Wozniak, Deepak Chopra, Quincy Jones, and more. Other techniques noted in the article are four-walling, using Google Analytics, partnering with an agency (WME, in this case), bundling the DVD with t-shirts and books, and maintaining a Facebook page. Lots to chew on here and lots of questions – like who negotiated all of these distribution channels and how much did they cost? I think you can point to the star of the film as a main driver for its popularity. Not just any film will be able to follow these exact methods of distribution, and see this kind of popularity, but the case study certainly provides several methods distribution; and even a few tools for those with a micro-budget. I realize that many of us are not going to have a publicist that went to Harvard (Cellia Black did) and representation from WME, but the methods used to self-distribute TRANSCENDENT MAN are, for me, inspiring. Read the full article over at Sundance.org to learn more. And feel free to share your thoughts on self-distribution below. I’ve been reading a lot of posts about digital distribution lately and one thing is clear – it’s tough out there for filmmakers, folks. I’m not convinced there’s an approach that works in general for all films, and getting your film on iTunes, Amazon VOD, etc. doesn’t guarantee that you’ll make a profit (or that people will watch it), but we can all learn something from those who have gone before us in this brave new digital world. According to this article on TubeFilter, indie film THE NEW YEAR (director Brett Haley’s feature debut) was released on iTunes on May 22nd. At the end of the article, the fine print states that the film is being distributed through the TubeFilter Indie Film Network, a partnership with GoDigital Media Group that “aims to give independent content creators – and their works – greater exposure” (GoDigital Media Group’s press release about THE NEW YEAR was posted on May 24th and can be found here). GoDigital is a full service Digital and Video on Demand (VOD) distribution company. They have an arsenal of over 1,000 films including the Swedish versions of Stieg Larsson’s “Millenium Series” (The Girl With the Dragon Tattoo, etc.). It turns out that it’s pretty difficult to get a feature film distributed through iTunes, Hulu, Netflix, Amazon VOD, etc., and companies like GoDigital exist to make it easier. Having followed TubeFilter for a while, this is the first I’ve heard of their indie film network, and a Google search for “TubeFilter Indie Film Network” only turns up a couple of related articles, but for those interested in learning more, TubeFilter says to contact them. It you have a feature film under your belt with some bragging rights, who knows, maybe they could help. THE NEW YEAR (which I have not seen yet) was reportedly made for $8,000 (some sources say $5,000) in 12 days. It was an official selection of the 2010 Los Angeles Film Festival, won the Audience Award for Best Narrative Feature at the 2010 Sarasota Film Festival, and received some good reviews from the New York Times, IFC, and others. It just so happened that Allison Loring, an employee of GoDigital, saw the film at LAFF 2010 and wrote this glowing review for Gordon and the Whale. I’m not sure how her love of the film played into the distribution agreement between GoDigital and THE NEW YEAR, but it’s an interesting note. I’m glad to see no-budget indie films get digital distribution. I wish the the team the best of luck as they try to get THE NEW YEAR in front as many people as possible. Getting the film online is just the start. Now comes the work of directing people to it and getting them to watch it. Here’s a link to the film on iTunes. The film currently has 4 out of 5 stars from 9 ratings on iTunes, and 100% on the tomatometer from Rotten Tomatoes. I’m think I’m gonna go watch it. Have you seen THE NEW YEAR? What did you think? Can you offer any digital distribution woes or praises? 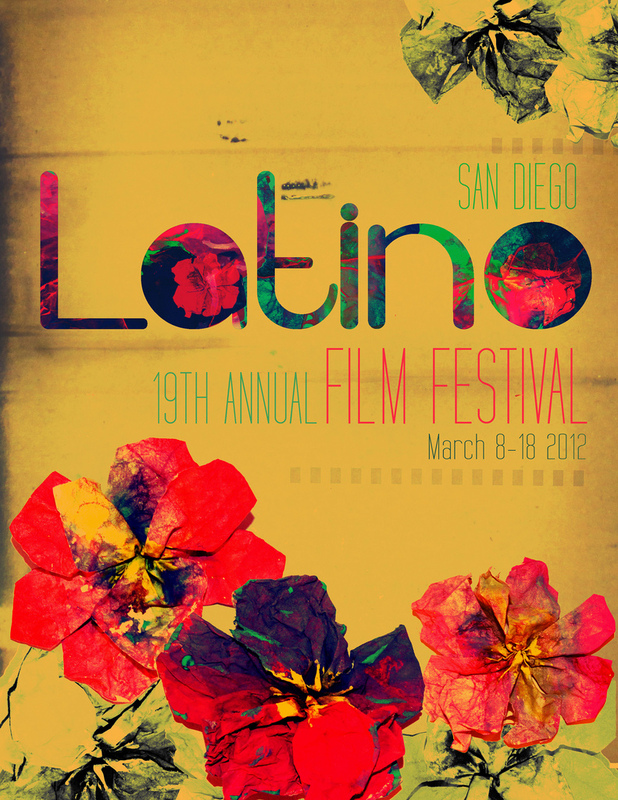 El Abuelo is an official selection at the San Diego Latino Film Festival. 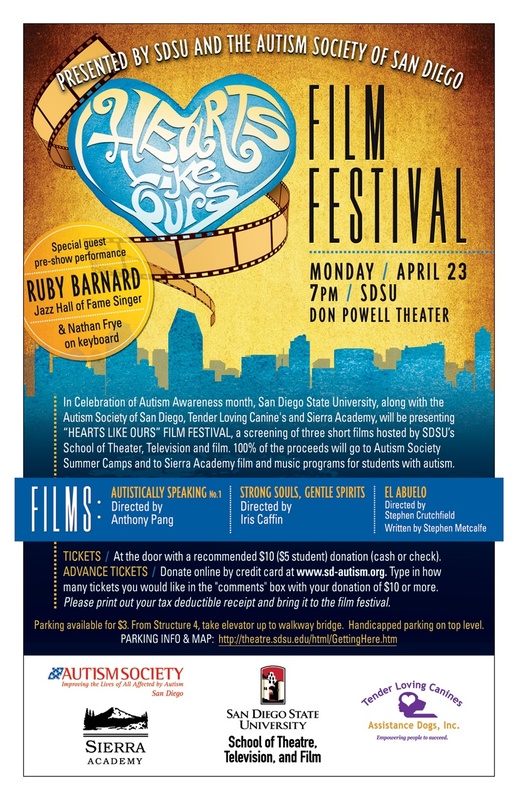 The film screens alongside other locally-made shorts, including films from Juan Guardado, Brian Garcia, Dexter Gareau, Magdalena Ramirez, and Niel Kendricks, all with ties to my alma mater, SDSU. The films will be playing in the “Frontera Filmmakers” block, a celebration of short films from the San Diego/Tijuana border region. We’re honored to be included and excited to see the rest of the films! Watch the El Abuelo trailer here. 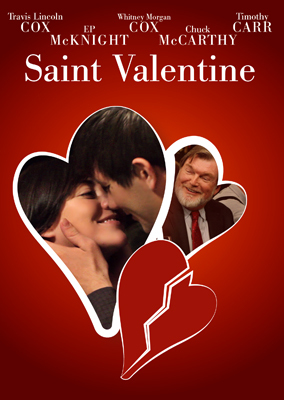 Saint Valentine will be screening at the Riverside International Film Festival, which takes place from April 20th to April 29th, 2012. More details to follow!